Very lovely outfit! Love cape! I love the skirt and the boots!!! 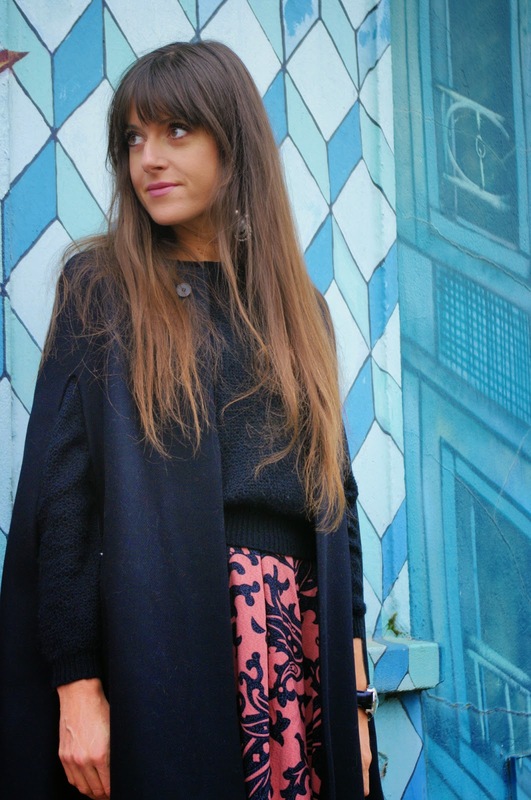 Dear Jeanne, the midi skirt and cape are such a cool match and as usual you managed to create a perfect outfit! I wish you a wonderful Christmas time and hope you can spend many and good times with the people you love <3 Merry Christmas! Devo dire che le calze sono veramrnte belle tesoro e danno un tocco particolarisdimo all'outfit. I love it that skirt!! I like how professional your blog looks and the background in this post especially! I definitely think that little red riding hood would approve and then maybe try to steal it for herself! :) I hope that you are having a merry Christmas! I would love to follow each other, just let me know on my blog! J'aime beacoup les boots! et joyeux noel! Stupendo il tuo look! Adoro la gonna e le scarpe! A me piace moltissimo come ti vesti! Bella la gonna e secondo me le calze sono stratosferiche! I love this outfit! Those tights are great! You look stunning! I love it all, the skirt, the tights and the boots. Hope you had a great Christmas! OMG you are so so stunning! Amazing look! Great pictures! Merry Christmas and all the best! Adorable post! Your skirt is amazing! Love he backdrop to these photos as well! Great pictures!!! Looks amazing love ur cape!!! Love the boots and bag! Merry Christmas! estas preciosa, me gustan tus medias. Great cape, I love your look! Bellissima la gonna e adoro scarpe e borsa, buone feste ! Très jolie série de photos, le mélange d'imprimés est super sympa! In LOVE with you unique POV and the way you mix it up! So fresh and new! Love it! really love your outfit, superb! Wow ces collants et ces boots sont tops ! Wow, I really love this skirt, it's so cute, chic and elegant!! Merry Christmas, and kisses from Spain!! Love this… beautiful midi skirt! Stunning outfit. I love those boots paired with those tights. Je craque pour ta jupe rose ! 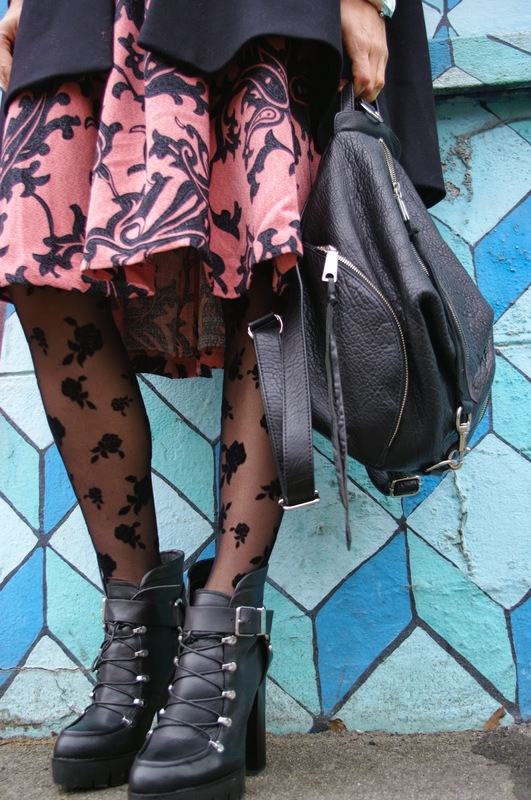 The rose printed tights with the baroque patterns skirt is so fun! I'd love it if you would check out my blog as well! What a cute outfit I really love those tights!! Love it all! The boots are amazing and you look great. Happy Holidays! Ma che bella Jeanne! Adoro le tue collant e la mantella!